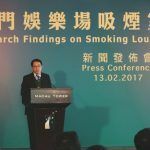 Macau’s Health Bureau wants to reduce the harmful effects of cigarette smoke on patrons and employees inside casinos, and the agency’s public crusade isn’t a bunch of smoke and mirrors. The Special Administrative Region of the People’s Republic of China is working alongside the city’s six major casino operators to determine the best regulations regarding smoking lounges. Since 2013, smoking has been banned inside casinos, except in designated areas and special VIP rooms. Casinos want to keep it that way, but the Health Bureau is expected to recommend to the government that VIP smoking rooms be banned, too. 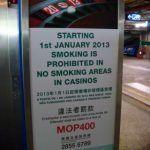 Macau outlawed smoking at all indoor public places in July of 2015, but as gaming revenue disappeared due to China’s crackdown on VIP junket operators, the city has been easing its smoking stance for casinos. 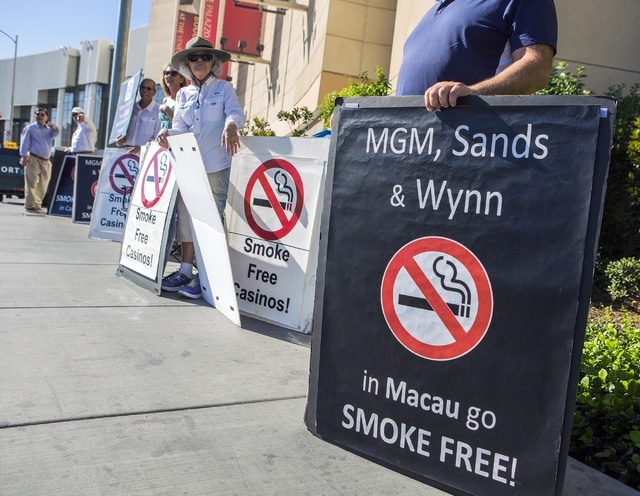 The Health Bureau is working directly with Galaxy Entertainment, Melco Crown, MGM China, Sands China, SJM Holdings, and Wynn Macau in finding common ground to better protect patrons and employees from harmful smoke, while also giving gamblers who wish to light up a space to do so without exiting the property. “We have basically reached consensus on the major directions,” Health Bureau Director Cheang Seng told GGRAsia, an online media outlet that covers the Asian gaming sector. Cigarette smoking has greatly decreased in the US over the last two decades, but in China, rates remain extremely high. The World Bank estimates that one in two adult males in the country is a regular smoker. As far as Macau’s casinos go, the odor of smoke has gone hand-in-hand with the sounds of the slots in years past. Employees, however, support clean air floors and requiring smokers to puff in designated enclosed areas. Macau smoking lounges currently resemble those commonly found inside airport terminals in the US. But doors are often left open, allowing smoke to permeate into the general gaming floor. 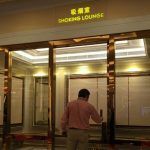 Macau’s Health Bureau is expected to address that issue, as well as “advanced specifications” for the lounges. One such technical issue is making the lounges generate “negative pressure.” That’s the process of installing a ventilation system that pushes new air into a space, while not allowing air to escape. The Macau Federation of Trade Unions said three out of four of the 87,000 people who work in casinos prefers a smokeless workplace. Providing employees a clean airspace in which to work will greatly reduce their exposure to secondhand smoke. According to the National Institute of Occupational Health and Safety, frequent exposure to secondhand smoke leads to higher instances of lung cancer and other diseases. While smoking lounges help, it doesn’t totally eliminate the elevated health risks for workers. “Even with ventilation and nonsmoking sections, casino workers and patrons are exposed to unsafe levels of secondhand smoke,” the American Cancer Society said in 2014. Gambling operators worry that eliminating smoking entirely will negatively impact revenues. Casinos across Asia say smoking is vital to keeping their floors busy. The Health Bureau will soon make recommendations to the Macau Legislative Assembly on smoking requirements. The government is expected to then take steps to implement the new smoking law.